With ever rising gas prices and the present downtrend in the economy, there is a now more urgent need to find different new ways to increase gas mileage than before. By exploring different ways of increasing car gas mileage, the car owner will be able to reach his planned destination with lower gasoline costs. 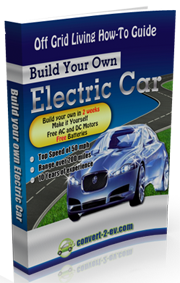 Every model of a car is designed to run at specific amount of fuel per mile. The gas mileage will only change depending upon how fast one drives and the place where he is driving that necessitates the car’s engine to consume more gas. Nevertheless, the car will maintain particular rate of gasoline consumption in every place it travels. 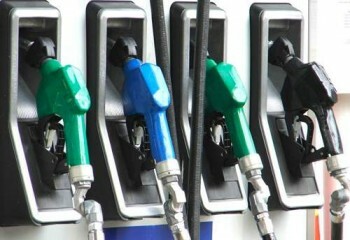 Fuel economy or fuel efficiency is the miles traveled per gallon of gasoline (MPG). The higher the value, the more efficient the vehicle is. The gas mileage of most of the cars manufactured from 2000 to 2008 normally varied between 20 and 30 miles per gallon. Although this efficiency factor depends on the type of the car one drives, till recently, most of the car manufacturers had treated this as a higher norm. The gas mileage for various models of cars such as hybrid cars can be raised to as much as 40 t0 80 miles per gallon. In order to increase the gas mileage, it is necessary to make a few small alterations to the car. Improving gas mileage means every gallon one saves for the miles covered will lead to corresponding increase in fuel efficiency and savings in fuel expenses. To begin with, gas mileage can be improved and accordingly, fuel consumption reduced, if one reviews the way he drives. For example, if a car owner drives below certain speed, does not accelerate too much when in driving in the town or driving in a street where there are not many traffic signals. These steps alone will reduce energy consumption by 1-2 miles per gallon and accordingly, reduce the extent of gas the car consumes wherever he drives. There are many other methods that will help in increasing a car’s gas mileage, as for instance engaging the car in neutral when the car has to be stopped and slide along in certain places so that gasoline does not reach the engine. This will also facilitate to engage the car in gear without extra gas. Proper maintenance of the car will also help in increasing the miles per gallon. These maintenance aspects include tuning up the engine, regular cleaning, keeping heavy articles out of the car in order to reduce additional pressure on the engine. Keeping a close watch on what the vehicle requires is the easiest method to ensure that it remains fuel efficient. Irrespective of what type of car one drives or how far one has to travel, it is always possible to find ways and means to be more fuel efficient by making some of the alterations in the driving habits. Fuel efficiency is directly related to fuel consumption and saving money on gas. All car owners should keep this in mind and take all possible steps to improve gas mileage of their cars.